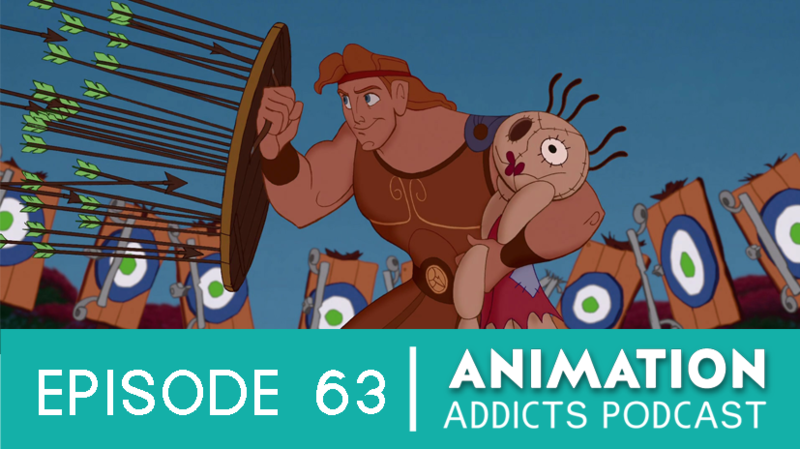 Morgan and Chelsea are flying on Pegasus solo to review the fan favorite, Disney’s 1997 Hercules. ■ Hercules is getting a Blu-ray release! ■ General info, reception; movie bombed in Greece. ■ Not very many A-list voice actors! ■ The music shines: gospel chorus for the Greek chorus. 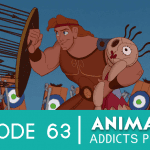 ■ Comparison of the original Hercules mythology vs. Disney’s adaptation. ■ Gorgeous color palette and character design for the gods on Olympus. ■ “Go the Distance” is a great song for any spirituality, person or plight. ■ This movie uses lots of pop culture references much like Alandin and Shrek. Does it date it? ■ “Once in Every Show” from Spamalot. ■ Remember to use the hashtag #AnimAddicts and #PleaseNoSpiceGirls (if you make it to the end of the episodes) on Twitter! ■ Voicemails, mail bag and lots of bloopers!